The Bing Image Search Team has just announced an update designed to make searching for food recipes easier and more streamlined. This comes in the form of a new feature called “recipe badges”. According to the announcement, users often look to Bing’s image search to find inspiration for food recipes. While this provides a pretty picture and an inspiring goal to achieve, finding the accompanying recipe behind a picture can be quite the pain. Recipe badges is design to mitigate this problem. Now, image searches regarding food recipes will have a little chef’s hat at the bottom left corner of each image search results, indicating that Bing has found web pages with a recipe that uses the given image result. This works much in the same way as the shopping cart badge, another useful Bing search feature. Because it matches the specific image to recipes, users can be assured that whatever the recipe instructs the user to make will match the final result shown in the picture. 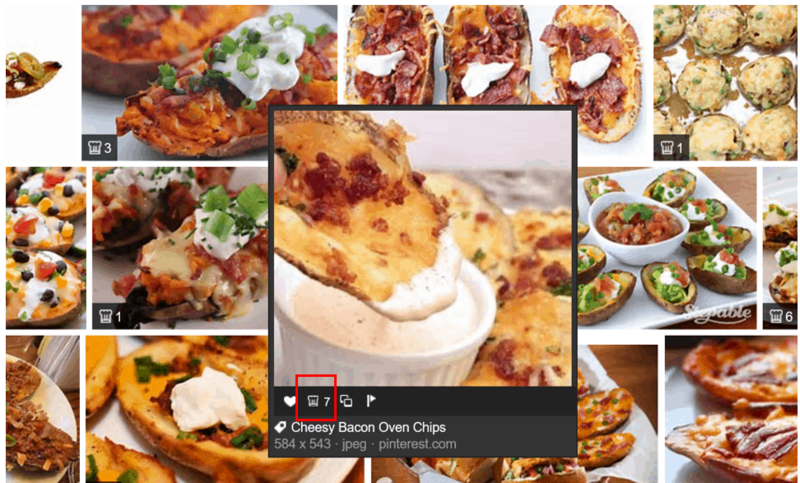 Each recipe badge also features a numeric counter, showing at a glance how many websites have recipes that produce a food shown off by a given image. The Bing Image Search Team also discussed ways in which bloggers, website owners, and recipe writers, can get their recipes featured on Bing’s image search with the recipe badge. This includes making sure recipe web pages are marked up using well-known schemas and manipulating meta-data that to feature tags that allow Bing image search to mark the web page as a recipe source. The recipe badge will roll out worldwide over the coming weeks and will be available on all devices. I have had the fortune of being able to play with this feature today to look up recipes for something I’ve been desperately craving, chocolate chip cookies, and can confirm it works splendidly. This is a clever, more intuitive way to search for recipes as it allows users to search by looking at a virtual catalogue of beautiful images, rather than by clumps of text. Would this new feature make searching for recipes a more pleasant experience for you?